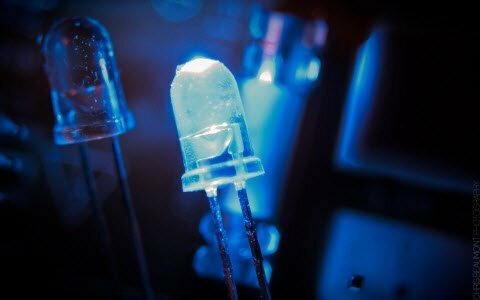 Every electrical and electronics project designed to develop electronic gadgets that are frequently used in our day-to-day life utilizes microcontrollers with appropriate interfacing devices. 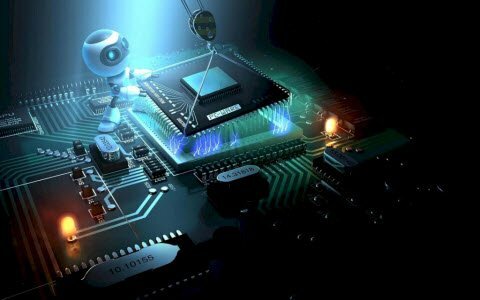 There are different types of applications that are designed using microcontroller based projects. 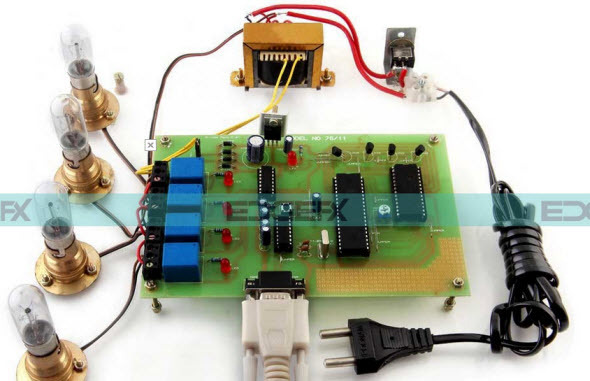 In maximum number of applications, the microcontroller is connected with some external devices called as interfacing devices for performing some specific tasks. For example, consider security system with a user changeable password project, in which an interfacing device, keypad is interfaced with microcontroller to enter the password. 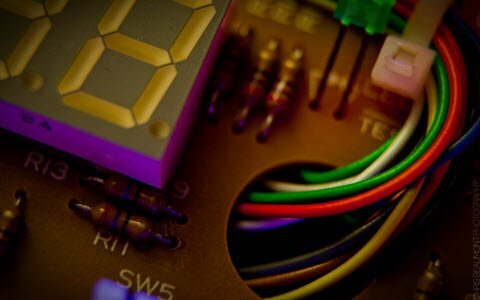 Interfacing can be defined as transferring data between microcontrollers and interfacing peripherals such as sensors, keypads, microprocessors, analog to digital converters or ADC, LCD displays, motors, external memories, even with other microcontrollers, some other interfacing peripheral devices and so on or input devices and output devices. 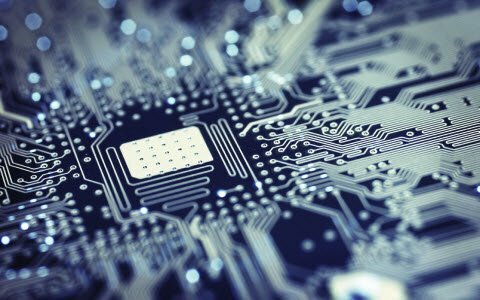 These devices that are interfacing with 8051 microcontroller are used for performing special tasks or functions are called as interfacing devices. 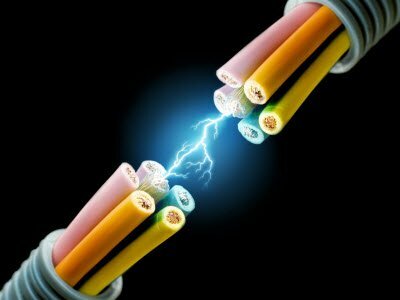 Interfacing is a technique that has been developed and being used to solve many composite problems in circuit designing with appropriate features, reliability, availability, cost, power consumption, size, weight, and so on. To facilitate multiple features with simple circuits, microcontroller is interfaced with devices such as ADC, keypad, LCD display and so on. A to D converter is an electronic integrated circuit used for converting the analog signals into a digital or binary form. 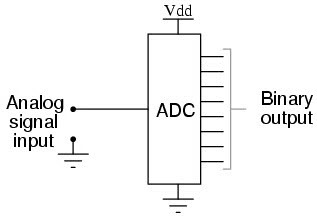 Generally, analog to digital converters takes an input voltage from 0 to 10V, -5V to +5V, etc. and thereby converts this analog input into digital output. Most of the environmental parameters such as temperature, sound, pressure, light, etc. are measurable in analog form only. If we consider a temperature monitoring system, then obtaining, examining and handling temperature data from the temperature sensors is unable with the digital measuring system. Therefore, this system requires an intermediate device for converting the temperature from analog to digital data, such that for communicating with the digital system containing microcontrollers and microprocessors. SCADA for remote industrial plant is a practical application in which,analog to digital converter or ADC interfacing with 8051 microcontroller is used. To continuously monitor the multiple operations of the remote industrial plant, supervisory control and data acquisition (SCADA) is the best technology for achieving control over various operations of industry remotely, thus increases efficiency and saves lot of manpower. In this project temperature sensors are interfaced with microcontroller that is connected to a PC. Temperature sensors connected are interfaced to microcontroller with the help of analog to digital converter. As, the signal generated from sensors is analog, so these analog signals are converted into digital and then fed to the microcontroller. For serial communication RS232 is a standard. 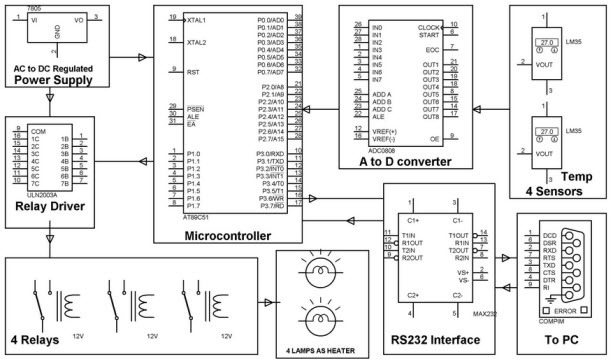 RS232 interface is used for obtaining communication between the computer and circuit such to transfer data between circuit and computer. 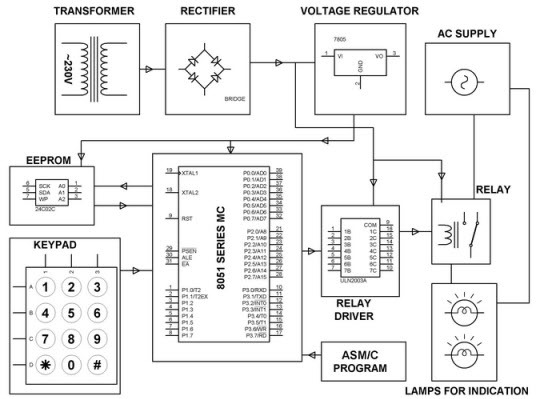 If the temperature exceeds the preset value, then microcontroller activates relay that will turn off the heaters and an AV alarm will be generated if the system fails. Here the heaters are represented with lamps for demonstration purpose. In general keypads or keyboards are used as input devices for computers. But, among various types of interfacing devices, keypad is also one type of frequently used interfacing peripheral devices. 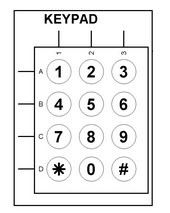 In general, keypad or keyboard consists of rows and columns, are called as matrix keypads (m rows*n columns keypads). 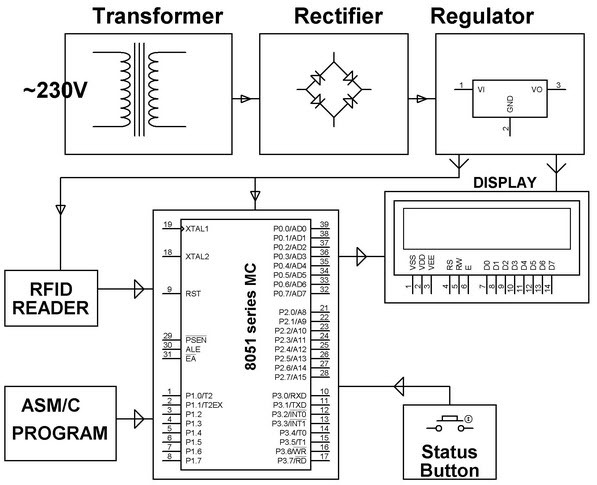 These are interfaced with microcontroller for entering values or names whenever it is required for the circuit. Security system with a user changeable password is a practical application in which keypad is used as one of the interfacing devices. Password based door lock system is used for security to house or organization or office or company. In this system, opening or closing the door can be operated only by entering the right password. 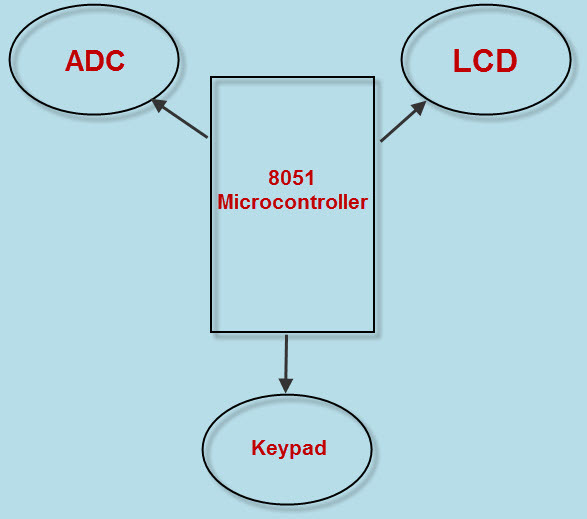 For entering password,keyboard interfacing or keypad interfacing with 8051 microcontroller is used. Thus,the system will avoid the unauthorized persons to operate the door. Even, if any unauthorized attempt made to operate the door can be altered with an alarm system, here indicated by the lamp. 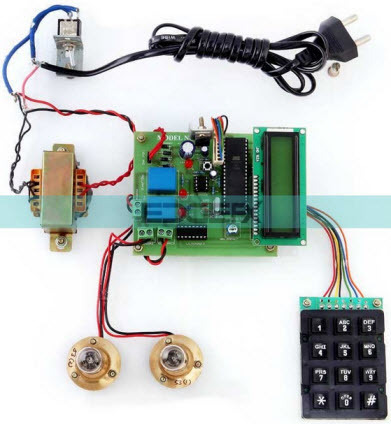 In this project we can improve the security of the system by using many interfacing devices can be used such as keypad, relay, EEPROM, GSM modem. The Keypad is used for entering the password, authorized person can change the password using an external interfacing peripheral devices such as EEPROM. And further microcontroller interfacing GSM modem can be used for sending an alert SMS to authorized person regarding unauthorized attempt if any, made to operate the door with the wrong password. An LCD display or liquid crystal display is one of the most frequently used interfacing devices that consist of liquid crystals. It can be considered as a combination of solid and liquid (directly liquid is not used, but in fact water liquid crystals are used). These LCD displays utilizes liquid crystals for producing visible images. LCD displays are display screen super thin technology that is being used in cell phones, televisions, portable video games, laptops, computer monitors, portable video games. 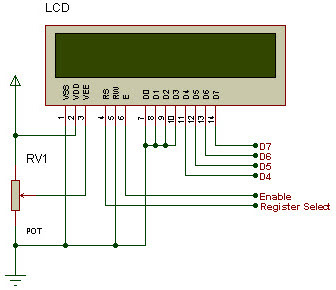 The RFID based attendance system is a practical application of LCD display interfacing with 8051 microcontroller. This system is a modern way of taking students attendance in the classroom and it will avoid conventional time consuming manual attendance system. In this project, every student data is stored in a card that is used as identification for taking attendance of students. If a student places his/her card in front of the RFID card reader, then this data is read and verified by comparing it with previously stored data of the 8051 microcontroller. Based on the verification of data matching, it displays a message on the LCD display. LCD displays interfaced with microcontroller that is used for displaying a confirmation message, whether the student is present or absent. If student’s attendance information is required, then by pressing the status button that is interfaced to the microcontroller attendance can be retrieved. Thus, this system saves a lot of time as the data is stored in the database. By interfacing the GSM system with this project, it can be used to send SMS alerts to the parents of the students regarding the attendance. 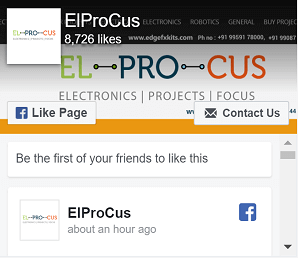 For technical help regarding the electronics projects that are designed using interfacing devices such as OLED, customized LCD, flash memory, RTC, servo motor, touch screen displays, and etc., please visit www.edgefxkits.com or you can approach us by posting your comments in the comment section below. 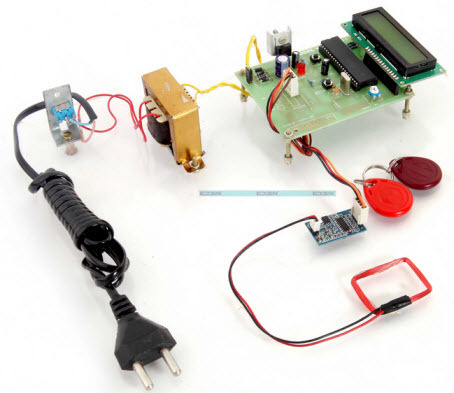 ‹ Previous How to Make a Portable Lie Detector Circuit and Its Working?